It's always a sad day when a game-development studio closes its doors, but it's an especially sad one when the studio in question was known for putting out quality games. Given that, it's likely that bucket-loads of tears are being wept in response to the news that no more games will be produced by Arkedo Studio, the company responsible for Big Bang Mini (DS), the Arkedo Series of XBLIG titles and Hell Yeah! 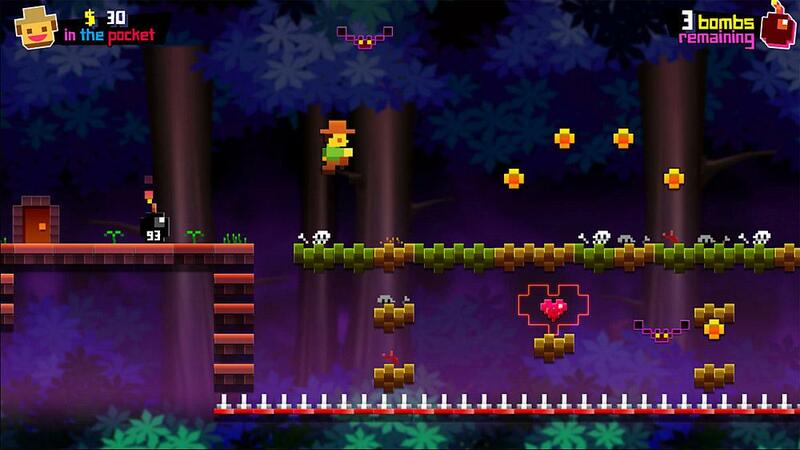 Wrath of the Dead Rabbit (XBLA, PSN and PC). According to a blog post written by co-founder Aurelien Regard, the company "is still here. But no one’s employed anymore. "Arkedo hasn’t closed down and is not bankrupt," he adds, but "no more games are [being] produced, either." Fans of Arkedo Studio's past efforts may take a bit of solace in the fact that two "small" and as-yet-unknown games will still be released by the company, although Regard didn't say when that will happen or which systems will be the recipient of them. Well, that's certainly one way of looking at it, Simon! I guess one thing that makes me sad about the closing of this particular company is that they had a certain style that I'm not sure will be replicated if one person goes here and one person goes there. I guess we'll see. That's really sad! Hell Yeah was one of the best games of 2012, and Arkedo was one of the most interesting Western developers around. I feel bad I never got a chance to support any of their other games. Of course it would help if they hadn't made the Arkedo Series 360 exclusives. Between the loss of 1Up, Kenji Eno and now Arkedo, this has been a really bad week for video games. Besides those two games upcoming, it sounds from the blog post that Aurelien at least is working on something he's doing entirely by himself, so yeah, good news that they'll still be making things probably, but it will be harder to keep track of all those creators (I don't know who any of them are) and in different context of course, it's hard to know which games matter in the sense that you're following certain developers. This is a thing I spend a lot of time thinking about (far more than I should, it seems pretty futile), wondering about where the developers are who worked on my favorite old games, whether they're still around or where that certain "spirit" went when/if they collaborated with others, or was it a change of the times or a change of the developers' own personal taste? A really curious example is Code of Princess, which is obviously going to be notorious forever for being inspired by Guardian Heroes and having two Treasure staffers on it, but it really doesn't feel like Guardian Heroes imo (and isn't nearly as good), so clearly following individual creators doesn't necessarily pay off the way one might hope. I have to say, Steve, Hell Yeah just didn't appeal to me in the end, so I passed on it. Sounds like you liked it, though? Also, yes, it's too bad they never got their Arkedo Series games onto other platforms. Pixel, especially, is a fun one. Have you ever played Big Bang Mini, BTW? I've heard such great things about it, but have yet to play it myself. 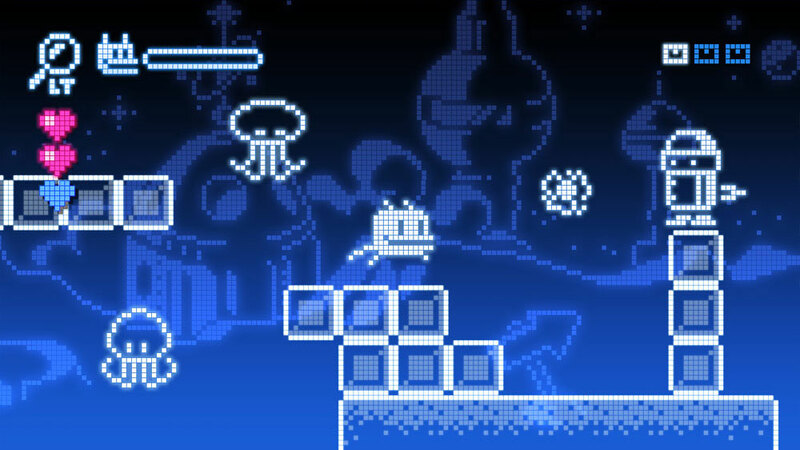 I think I'm going to pick it up soon, though, as it looks/sounds like a fun, old-school kind of game. Thanks for reminding me of that Hell Yeah post-mortem, Michael. I ignored it the first time around, but I think I'll go back and give it a read later today. Like you, I've yet to play Hell Yeah (and in my case, I probably never will get around to it, as it just doesn't appeal to me like the company's other games), but I'd like to read more about how they made the game, how it impacted their company, etc. It's interesting what you say about following developers and designers around to see if their spirit/magic follows them from game to game. It doesn't surprise me, actually, to hear that sometimes it does and sometimes it doesn't. Let's see, how can I defend Hell Yeah considering it got mixed reviews, and looks like a Flash game? Well I downloaded the demo cuz I download every PS3 demo, and only gave it a chance after hearing our friend Jeremiah rave about it. And you really have to play it to understand it. 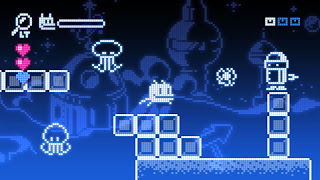 It captures a lot of what made the old 2D Metroidvanias great while adding a lot of interesting things that make it feel fresh and new. And the whole setting and story of getting revenge on a guy who took pix of you in the bath and posted them on Facebook? I LOVE that! 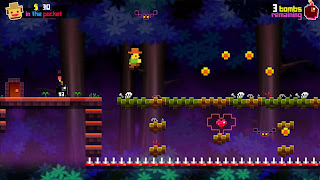 Also it bucks the trend of a lot retro-style games (Super Meat Boy, I'm looking at you) in that it's challenging without being ridiculously hard. Anyhow, I know I'm not going to change your mind or anyone else's at this point, so I'll just stop there. But I am assuming it was mainly the art style that turned you off to Hell Yeah, right? As for Big Bang Mini, I have the rom and have been meaning to try it for awhile. What's kept me away so far? Well it sounds just like Fantavision, a game I absolutely loathe. I know I'm in the minority on that, tho. WHAT?! Well, that was completely unexpected :[. Aw, you don't need to feel the need to defend your position on the game, Steve! Thanks for explaining why you like it, though. As for me, yeah, the art style is mainly what turned me off. I wasn't so sure about the gameplay either, though. Oh, and RE: Big Bang Bini: I don't know much about Fantavision, unfortunately. Is that like Space Invaders? I ask because that's what Big Bang Mini sounds like to me. Isn't Fantavision more of a, um, fireworks simulator? Yes :( Sounds like they grew a lot in order to finish Hell Yeah, but then found they were too big once it was done. Without any new contracts coming in the door, they couldn't afford to keep everyone on, especially if they wanted to go back to focusing on smaller games. Sad. Alright we're obviously never going to agree on Hell Yeah, but if you didn't like the gameplay, does that mean you actually dusted off your 360 and tried out the demo, or are you just going on what you read about it? Fantavision is a puzzle game where you blow up fireworks after they get launched into the sky. Normally I love puzzle games, but it just didn't feel right to me, and I got rid of it immediately. All I know about Big Bang Mini is that it involves launching fireworks, so you know, once bitten twice shy. It is a shame, but I sounds like a sound, responsible business decision from the guys in charge. Disband now rather than drag things out, making things worse for all concerned in the long run. It sounds like they jumped at the chance at working with a big publisher (who wouldn't), grew the company to meat the demand, but have now found themselves with a bigger company and no contract, not wanting to take the risk of another big project. That's the best thing about staying small and independent: flexibility and liquidity. As for Big Bang Mini and Fantavision: it sounds to me like they're pretty different games, although they both involve fireworks. Like I said, Big Bang Mini seems to be a bit like Space Invaders or Galaga or whatnot, although in this game you use stylus swipes to send fireworks toward the oncoming hoarde. What little I've seen of it certainly looks interesting, but since I haven't played it I can't really say if it actually is or not. Yes, I guess you're right, Marc. Still, it's sad that the act of growing bigger to try something exciting and new is what brought the company to an end.